The pack finds their stride. 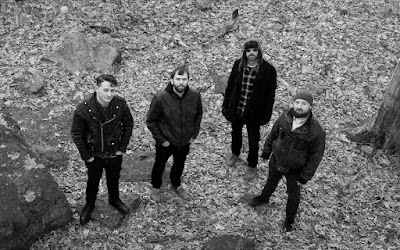 Salem Wolves to release first LP Tooth & Nail. “We think being a singles band is evolutionarily the best thing for most bands. From a culture perspective, it makes sense because things are very content driven and the buzz cycle is short. People expect you to be pumping out new content on a regular basis.” That was Salem Wolves during a 2015 interview with Bishop & Rook. Since then, the band has produced a total of 6 singles and 1 EP. But on May 5th, the band prepares to release their first LP, Tooth & Nail (MegaHex Records), a 12-track record that is comprised primarily of previously released songs. So the question we ask is; will Tooth & Nail be enough “new content”? “[Tooth & Nail] is an aggregated snapshot of who we were from when we started to who we are now,” explains Salem Wolves’ frontman Gray Bouchard. “The songs to us feel new because in a way, we're a totally different band than we were in 2015. The record is us giving [the songs] their debutant moment and putting them to bed.” Tooth & Nail is considered an engineered yearbook for the Salem Wolves fanbase and a refined catalog for future listeners. With lineup changes landing Eliahu Sussman (The Tenafly Vipers) on drums and Dan McMahon (Lesser Knowns) on lead guitar/vox, the band went to work completely re-recording three songs from the 2015 EP Black Books and remixing previously released singles, as well as recording a handful of new tracks including "From The Vault" which you can stream now on Bandcamp. “I think our attitude has changed from thinking we're a "singles" band to being more of a "live" band,” Bouchard states. “People who have seen us play live may have heard “Rumblr” (2015) dozens of times but never recorded like they’ve heard it live. “Wytches” (2015) in particular is a totally different beast and has a lot of detail and nuance that was missing from the original.” And we agree. 2015 vs. 2017, “Wytches” is now more confident and a bit more menacing; like this track has seen some things, and it’s warning you, not from the shadows of an alley in passing but from atop the bar, smack dab in the middle of spooky town USA. And that’s the type of quality you’re going to get from the entire record. Like many mediums, content is re-released in harder, better, faster, stronger versions, and music should be no exception. So as far as strategy goes, yes, it’s changing. Bands get older, they play more shows and they realize what works and what doesn’t. “At the time, songs like "Teenage Wonder" (2015) really kicked down a few doors for us and it was great. It got us out there, taught us who and what we were. But over the last two years, we've really seen our live show become a focus and its connected us with lots of people. So I think the singles approach worked and still works, but maybe isn't the complete picture,” which is a great insight and working example of how bands consciously migrate and mature to better themselves. So is Tooth & Nail enough new content? Yes. It’s worth the investment primarily for the sake that this band quickly propelled through the ranks, realized their potential, reworked their angle, refined their sound and was able to capture the essence of their live show, which if you’ve ever had the pleasure of seeing, is voltaic. *All orders will ship on or around May 5th. Pre-order now. Catch Salem Wolves at one (or both) of their record release shows at O’Brien’s Pub in Allston on May 7th with Today Junior and Atlantic Thrill (Providence) and at Opus Underground in Salem on May 25th with Cruel Miracle and Worshipper. And follow the band on Facebook for addition release updates and news on their summer New England tour hitting New Hampshire, Vermont and Connecticut.